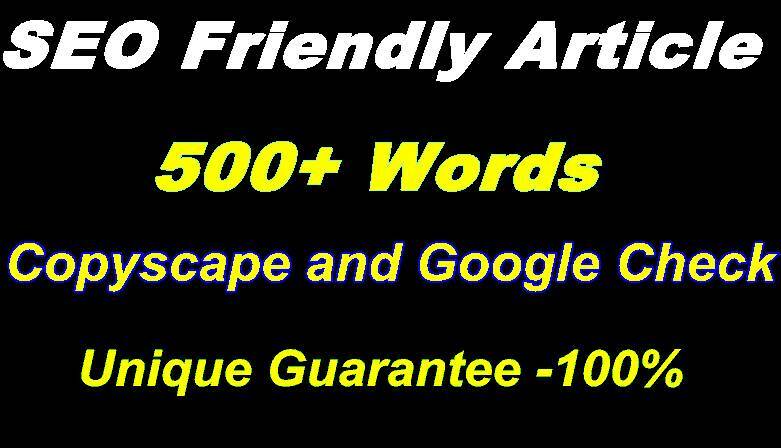 I will write SEO friendly unique article that passes Copyscape and Google check as well with fast delivery. All of my articles are well researched and handwritten. I am responsive and co-operative and will work closely with you throughout the project to ensure I produce exactly what you're looking for.Order me now. You get well written and researched articles that are stuffed with useful detailed information! I expect to work for you for so long time..